Anyone that’s walked through the baby skin care aisle at a store knows that there is an ample selection, so much so that the options are overwhelming. And, if you’re anything like me, you like to do your research before purchasing a product. As a frugal person, I hate wasting my hard earned money on products that I end up hating. We’ve written several skin care reviews, but I was exceptionally excited to collaborate with Burt’s Bees since they’re a top name in the industry. Their products are naturally sourced and cruelty free. I was most interested in their ointments and lotion, all of which Burt’s Bees sent my way. Their lotion is minimally fragrant, thick, and incredibly moisturizing. A little bit really went a long way. I used this on my son’s skin as well as my own, and thought it was a fantastic product. Overall, I have preferred this to many other lotions that I’ve bought for my son so far. 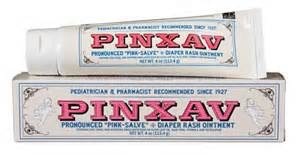 A pretty typical ointment, great for forming a protective layer over skin. I personally use a light ointment every diaper change to prevent diaper rash and keep my son comfortable. This was perfect for that. Light, not super disgustingly gooey like many are. Also, the smell was much better than many other ointments. The idea behind the cream to powder is great. I’ve never been a huge fan of baby powder, because I think that ointment works better for protecting skin from rash. However, I was fascinated by this idea. At first I liked the consistency of the product. Yet, I found a few things I wasn’t so fond of: this did nothing for even the most minimal of rashes, and the oil separates from the cream, making for a huge mess at times (even after shaking this product, I found that the oil still came out first– not a good idea when you’re already wrestling a toddler for a diaper change.) Outside of that, I also found the thick tube difficult and thought a thin tube would work better. Overall, I think this product needs modifications. All of Burt’s Bees’ products are easily available online and in store. For a product that is 99% natural, the price is definitely right and under the price point of many other comparable lines. PROS- I found it to be incredibly effective on common rashes due to regular diaper wear and food reactions (nonallergic reactions, just sensitivities). Put it on, by the next diaper change, its gone! CONS- Has a strong fragrance, kind of mediciney but not unbearable. STAINS very, very easily. It will come out of clothes and sheets but you’re going to need a stain treatment spray. OVERALL- I use this cream when my LO has a rash that won’t seem to go away or seems to cause her pain because I know it will get the job done. Just be very careful while applying (easier said than done with a squirmy LO that may be in pain).